Restore and repair damaged documents completely automatically. See what you get immediately with Live Preview. Office Recovery recovers deleted and corrupted documents in Microsoft Office format quickly and efficiently. The free version of NTFS Data Recovery shows you a Live Preview of your lost, deleted or corrupted office documents and pictures before you make a decision to recover one or another. Have you recovered your computer from a system crash and found that some information is missing? Has a system failure rendered your hard drive inaccessible, and the operating system unable to load? Have you accidentally formatted or repartitioned your NTFS drive? Do you urgently need to recover as much data as it is still possible after a hard drive accident? NTFS Data Recovery provides a complete solution to rescue data from a corrupt drive, automatically scanning the disk and accurately re-creating the entire original file structure on another disk. Modern hard drives can keep hundreds gigabytes of data in millions files. Imagine the size and complexity of a modern file system that contains information on exact file sizes, names and locations. A sudden computer crash or a buggy application can cause data corruption at any time, which in turn means the entire hard drive may become inaccessible because of file system failure. But everything is not lost even if you cannot access your hard drive from Windows, or if your computer can not load the operating system. NTFS Data Recovery can scan the corrupted hard drive or a damaged NTFS partition, accurately re-creating original file structure and recovering lost data automatically, saving files and folders onto another disk, burning them to a CD/DVD or uploading over the nwtwork. NTFS Data Recovery supports all versions of NTFS file systems, including all versions of NTFS4 and the latest NTFS5. NTFS Data Recovery works with damaged NTFS volumes as well as with entire hard drives, including those that have been repartitioned and/or reformatted. NTFS Data Recovery does not use Windows to access data. It does not solely rely on information stored in the partition table, as it may be damaged. Instead, NTFS Data Recovery uses intelligent deep scanning of entire hard drive to locate, analyze and re-create damaged NTFS volumes, file system structures, and files. 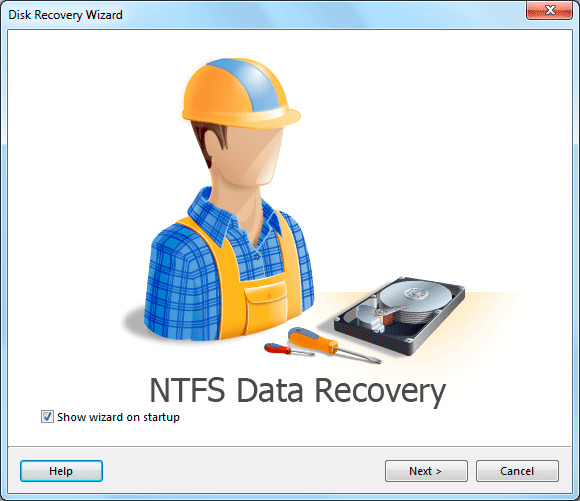 Using NTFS Data Recovery is easy, safe and straightforward thanks to its recovery wizard that allows you to restore data from corrupted partitions, inaccessible or formatted hard drives. You don’t have to pay anything until you are completely sure you can get all your data back! The pre-recovery Live Preview allows you to see what you can and what you cannot recover before you pay. You can see the contents of lost, deleted or corrupted office documents, pictures and archives prior to actual recovery. Live Preview ensures successful data recovery and helps you restore the latest versions of your office documents. 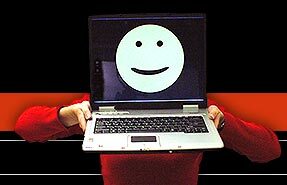 If your hard drive fails or your data gets corrupted, every disk access decreases chances of successful recovery. Don’t wait till it happens! Increase your chances of complete data recovery by keeping NTFS Data Recovery handy! For even greater safety, you can create a drive image, store it on another disk, and restore data without touching the corrupted disk. The files can be saved onto a different disk or to a remote network location. That really helps if your disk has mechanical or electronic faults that limit access to the disk. You sure want to recover your documents, pictures and archives before anything else. NTFS Data Recovery allows you to recover what really matters by locating and recovering office documents, pictures, ZIP and RAR archives before the rest of your data. NEW! Export Wizard. Recovered files can be saved to any hard drive (HDD or SSD), including network storage, burned on CD or DVD or uploaded over FTP. NEW! Pre-recovery Live Preview displays recoverable files before you buy. Live Preview supports: documents, images, archives, audio and video files, e-mail files, databases, help files, CriptoDisk format and Virtual Disks. NEW! Smart Search prioritizes the recovery of documents, archives and pictures over everything else, ensuring the recovery of valuable information. Smart Search supports more than 250 file formats. Works under Microsoft® Windows® 2000, XP, 2003 Server, Vista and Windows 7. Supported file systems: NTFS, NTFS 4, NTFS 5.